Obviously not from me. This morning I fired up my computer to check my email. On Google's Home Page (in small print) was a note that the 2015 Breakthrough Prize Ceremony is tonight at 10 PM EST on the NatGeo channel. "What is this?" "Where Have I Been?" The prizes were founded by Sergey Brin and Anne Wojcicki, Mark Zuckerberg and Priscilla Chan+here, Yuri and Julia Milner, Jack Ma, and Cathy Zhang. Committees of previous laureates choose the winners from candidates nominated in a process that’s online and open to the public. Laureates receive $3 million each in prize money and a Trophy. Multiple winners are possible and the prize money is NOT split. Every winner gets a full $3 million.They attend a televised award ceremony designed to celebrate their achievements and inspire the next generation of scientists. As part of the ceremony schedule, they also engage in a program of lectures and discussions. Those that go on to make fresh discoveries remain eligible for future Breakthrough Prizes. Knowledge is humanity’s greatest asset. It defines our nature, and it will shape our future. The body of knowledge is assembled over centuries. Yet a single mind can extend it immensely. Einstein reimagined space and time. Darwin distilled the chaos of life to a single idea. Turing figured out what it means to think. Great scientists enrich us all. They enable technologies that ease our lives, but they also show us what’s beyond our horizons. Science is revealing worlds far beyond the everyday scale, from the subatomic and cellular to the stellar and galactic. Increasingly we can think at these levels and trace the connections between them. And as we do, we are making progress on the truly big questions. The disciplines that ask the biggest questions and find the deepest explanations are the fundamental sciences. The Breakthrough Prizes honor important, primarily recent, achievements in the categories of Fundamental Physics, Life Sciences, and Mathematics. 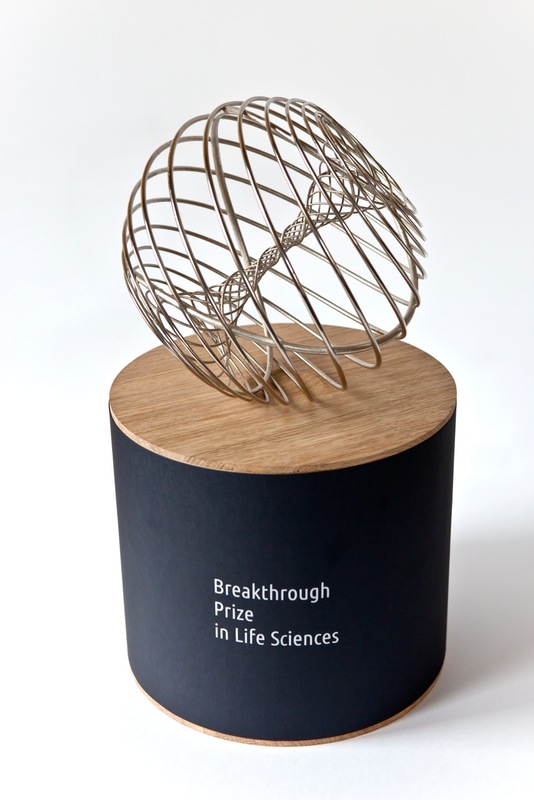 The Breakthrough Prize trophy was created by Olafur Eliasson. Like much of Eliasson's work, the sculpture explores the common ground between art and science. Good news: I learned something wonderful today. Bad news: We only have basic cable so I don't get NatGeo. Now that's dumb.